Get a fresh liner for your Alpinestars SM10! Great when you want that new helmet feel or if you want a spare set for race days! 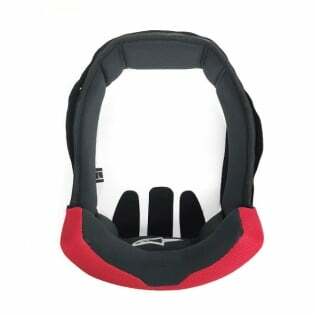 The Supertech helmet lining design includes canals which allow a tube to be incorporated on either side of the shell. All Alpinestars Helmet Spares in stock. Please note: This part is only the Crown and is not the Centre Top Pad.